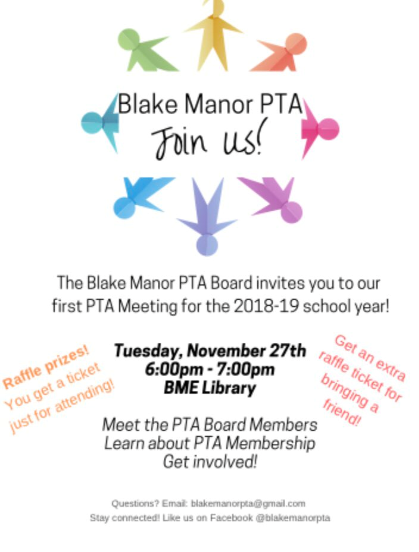 Join us for a PTA meeting! Get to know our new board and learn about getting involved with the PTA. Tuesday, November 27, 6-7pm in the library.